One of the best things about succulents (apart from how easy they are to propagate) is combining them in interesting planters. 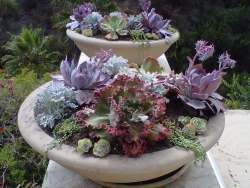 Finding cool hand made planters to put them in is an art - the exact right pot for succulents is like pairing wine with a good meal. 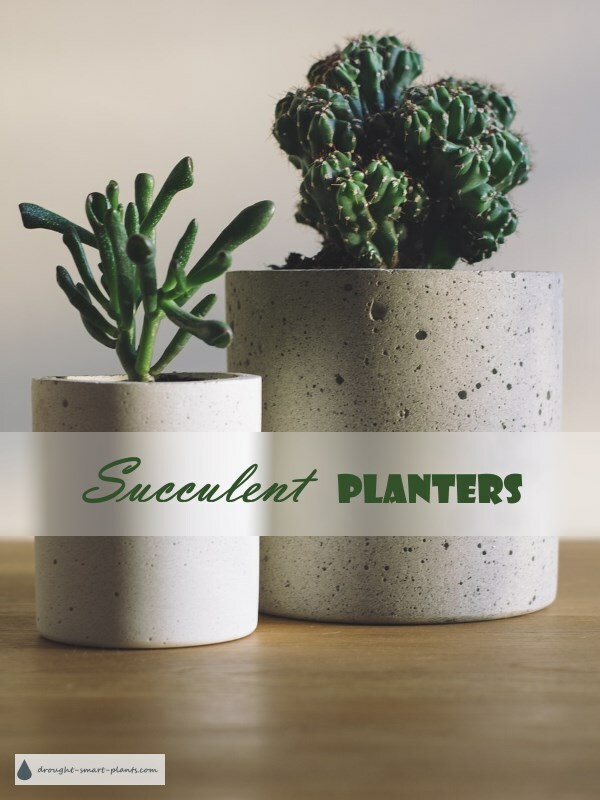 Some people have an eye for creating clay pots then finding the perfect plant to create that combination - it's like the sum of the parts is more than the whole. Other times, the plant suggests the type of pot it would like to be displayed in. This could be something smooth (if the plant is on the craggy and textural side) or something rustic, like a rugged, textured pot if the texture of the foliage is simple and sleek. Glass, pottery and ceramic pots can be purpose built, or created by drilling drainage holes in something that was never meant to be a planter.